Bing, Skype, and Xbox rebranding plans revealed in Microsoft design presentation. Scott Hanselman published two ways to fix this: one is a machine-wide fix, the other is a way to fix individual sites. The replacement of the "fixed" ie.browser file will supposedly resolve the problem but it somehow didn't quite work for me. If that file didn't work for you, you may wish to use the below instead. Microsoft offers free 30-day trials of Office 365 and Office 2013. After your free month is over, you won't be able to use some major features of these office suites. There is an article on LifeHacker extending Microsoft Office trial for five more months. I didn't try it though. Let me know if it works. Huang Wenyong (25 July 1952 – 20 April 2013) was a Malaysia-born Singaporean actor, musician, and former teacher of Chinese descent. He was an actor for MediaCorp from the early 1980s until his death. Appearing in more than 100 television programmes, he was among the first few batches of locally-trained actors to enter the local entertainment industry and considered to be one of the "pioneers in local Chinese drama". Huang died on 20 April 2013 of Lymphoma. Soon after his death, several fans and fellow colleagues pour in their consolation and regret to have lost an invaluable asset to Singapore local film industry. Long-time working colleague of Huang Wenyong's (黄文永) - Xiang Yun (向云) penned an euology on the passing of her friend. Ever since Marissa Mayer came on board as the CEO of Yahoo, its mobile strategy seem to have taken quite a bit of a lift. Once slow and sometimes buggy Yahoo! Mail mobile app has now been revamped and re-thought. Today, we’re excited to introduce the Yahoo! Mail Apps for iPad and Android tablets - a full-screen experience that gets rid of the noise. There are no folders, no buttons, no tabs - just you and your mail - and you can easily flip through it like a magazine. We've designed Yahoo! Mail to take full advantage of the tablet making reading your email faster, easier and just a little bit more fun. Download Yahoo! Mail for iPad and Android tablets now. 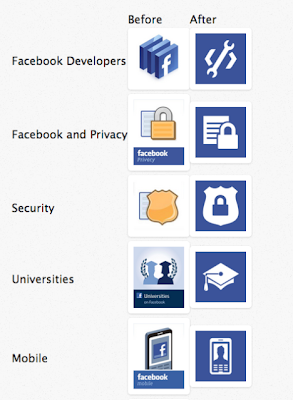 Facebook Home is live but is available only on selected phones for now. 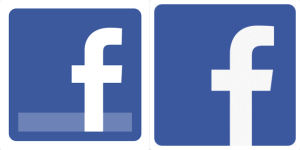 Lifehacker has a tip on how to Get Facebook Home on Any Android Phone. A first look on Facebook Home. You may be encountering constant prompt to perform "Check Disk" on boot-up after performing the recent Windows Update. Microsoft Security team has confirmed a problem with security update 2823324 and has since pulled it off from the pipe. Should you have unfortunately installed it, please read this Microsoft release on the steps required to uninstall 2823324. I personally experienced the problem and resolved it using the just-mentioned instruction. Recently, I encountered a problem whereby my DropDownList in UpdatePanel didn't AutoPostBack after a validator control return failure. The PostBack only happen after I tried to change the SelectedIndex the second time. Reading from a blog, I learnt that resetting Page_BlockSubmit back to False in client side will resolve the problem. When the user clicks on a button causing a full post back, after running Page_ClientValidate ASP.NET runs another built in function ValidatorCommonOnSubmit. Within Page_ClientValidate, Page_BlockSubmit is set based on the validation. The postback is then blocked in ValidatorCommonOnSubmit if Page_BlockSubmit is true. No matter what, at the end of the function Page_BlockSubmit is always reset back to false. If a page does a partial postback without running any validation and Page_BlockSubmit has not been reset to false, the partial postback will be blocked. In essence the above function, RunValidation, acts similar to ValidatorCommonOnSubmit. It runs the validation and then returns false to block the postback if needed. Since the built in postback is never run, we need to reset Page_BlockSubmit manually before returning the validation result. On 15 April 2013 before 8:30pm, an accident involving up to 7 vehicles occurred near Bugis at the junction of Victoria Street and Middle Road. This accident is said to be the result of a drunken or fainted Mercedes driver. Investigation is still on-going. Thank goodness, passengers in the taxi are unharmed. Presented here is the first manned mission to the Moon by the Americans, July 1969, in 100 one-second increments. Enjoy the voyage. South Korean the Gangnam Style man has just released his new music video - Gentleman. Will this new Gentleman video break previous Gangnam Style record 1.5 billion YouTube views? Currently, the Gentleman video has recorded 6.9 million views so far. What do you think of this new video? IMO, I find it rather clown and non-gentleman. Michelin Star dim sum (點心) restaurant from Hong Kong, Tim Ho Wan (添好運), is finally opened in Singapore, Plaza Singapura. If you somehow or rather don't like the latest Chrome's right menu, there is a way to disable it. Look for the shortcut where you usually start Chrome e.g. on your Desktop. Right click on the shortcut and then Properties. Make sure the Shortcut tab is selected. In the Target field at the end of "C:\Program Files\Google\Chrome\Application\chrome.exe" after space add "–-disable-new-menu-style" without quotes. (note we have got two hyphens before disable). Done! The next time you click on this shortcut, the good usual familiar right menu will be used. Please do share if you do have a bad experience with Citibank or any other banks too. Reference to a request from @AskCiti (Twitter handler) to send an email to the above email address for elaboration as to why I have decided to terminate my credit card and my relationship with Citibank, I am here - now writing this email. On Feb 2013, I received a credit card bill from Citibank showing an annual fee of S$150 + S$10.50 charged onto my card. I called in to +65 6225 5225, spoke to a customer service officer (CSO) and requested for a waiver. The guy I spoke to promised and reassured me a total of S$160.50 would be waived on the spot. I proceeded to make bill payment without the waived amount. On Mar 2013, I received a credit card bill from Citibank. What shocked me was not only the S$160.50 wasn't been waived, a further S$21.85 was incurred due to an unexpected debit balance carried forward from Feb 2013. I called in to +65 6225 5225 last week, spoke to a customer service officer (CSO), explained what happened, and demanded for a waiver of S$150 + S$10.50 + S$21.85 = S$182.35. The CSO reassured me the amount would be waived in 3 working days. Not trusting Citibank this time round and wouldn't want this "debt" to be carried forward to yet another billing cycle, I insisted Citibank contact me on any update. I proceeded to make bill payment without the S$182.35. 3 working days have passed - nothing is done, no one from Citibank contacted me. I called +65 6225 5225 yesterday on 3 Apr 2013, spoke to a customer service officer (CSO), explained the whole story again, and was told my request for waiver was not in the system. The CSO helpfully made a waiver on the spot, reassured me the waiver done and completed. Losing trust completely in Citibank, I requested for a complete closure of my card. I was then redirected to the closure department. Citing my lost in trust in Citibank and lack of follow up from Citibank as the reason for closure, the last CSO I spoke to proceeded to close my account. Almost immediately after the tele-conversation, the last CSO phoned. It's this very last conversation that really made me laughed till I almost dropped. This CSO suggested I should stay with Citibank for 1 more year since all charges were waived. She then revealed the real 2 reasons for me to continue - 1) she forgot to verify my identity, 2) there was a system error encountered and my first conversation with her was not logged. Do you expect me to repeat everything again after the recording system is turned on? How can I convince myself to believe and trust Citibank again if simple procedure like verification of identity and making sure the recording system is running (if need be) are not ensured? FYI, a copy of this email is published here. According to a Facebook post, it is possible to determine the origin of food bought from a supermarket by reading the barcodes on the package itself. Disclaimer: I am not sure if it is 100% accurate. ALWAYS READ THE LABELS ON THE FOODS YOU BUY--NO MATTER WHAT THE FRONT OF THE BOX OR PACKAGE SAYS, TURN IT OVER AND READ THE BACK CAREFULLY! Can you differentiate which one is made in Taiwan or China ? The world is also concerned about GMO (Genetically Modified Organism) foods; steroid fed animals (ex: 45 days old broiler chicken). It is important to read the bar code to track its origin. How to read Bar Codes....interesting ! 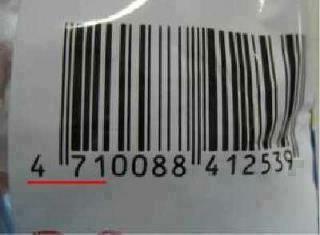 If the first 3 digits of the bar code are 690, 691 or 692, the product is MADE IN CHINA. If the first 3 digits of the bar code are 00-09 then it's made or sourced in USA. All 480 Codes are Made in the PHILIPPINES. Do let me know how true is this! More information can be found at GS1 Prefix List - How to Determine Origin of Food From Barcodes?. Having problems when running large SQL scripts using the SQL Management Studio (SSMS)? I would suggest you use sqlcmd instead. Save your script in a flat file (e.g. .sql or .txt) and pass the file as an input parameter to sqlcmd like below. 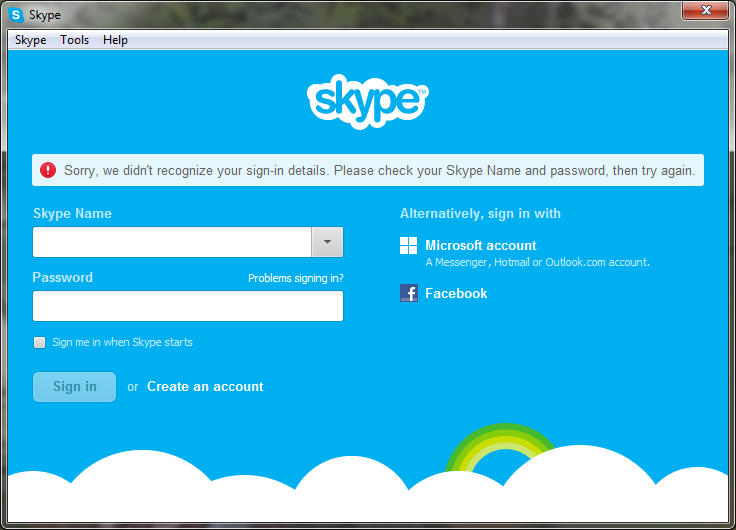 In case you are having problems logging in, you may wish to try either one of them. NOTE: Replace SERVER, INSTANCE, PORT accordingly to suit your server configuration. 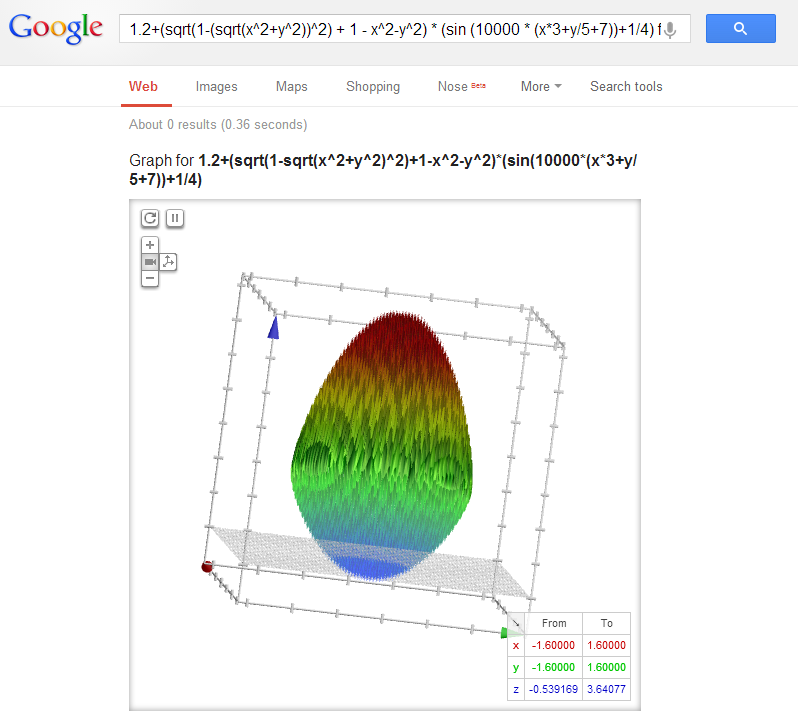 As part of Google's tradition, a series of new features or initiatives were announced in this year's April Fools' Day. We have announcement from YouTube at which they announced they are now ready to announce the best ever uploaded video in 10 years' time. The selection process will be by several technicians based on strict guidelines. And YouTube will be shut down for good. Next, we have announcement featuring whole new service in beta - Google Nose - a whole new different experience in search using a sense. We also have got Google Maps launching treasure mode. Joining in the fun, Gmail is launching Gmail Blue, obviously in mockery on Windows Blue - making everything blue. Google Fiber is bringing fiber close to you, as long as you are connected to a "pole". For webmasters and marketers, Google Analytics participated in this joke day by including hits from the International Space Stations. Last but not least, a Google Easter Egg for you just by doing a search.